Our school year will officially be underway in just two days. I'm excited, but what makes me even more excited is knowing that the boys are excited too. Today Ashton said, "I'm kind of excited (in a good way) to start school,"
and Bryce said, "Me too. We get to learn and it gives us something to do." Thank you, God, for giving me these two sweet, obedient, joyful boys. I am so blessed to spend my days with them. This year we will be doing third grade and fifth grade. I'd like to share our curriculum choices with you. We will continue using Elemental Science Physics for the Grammar Stage. I'm so thankful we found this science curriculum. Physics Experiments for Children, and Gizmos and Gadgets along with this. Reasons we enjoy Elemental Science: It's easy to use. I really enjoy the teacher manual. It's interactive and gives the option to do science 2 days a week or 5 days a week. We'll be doing the 2 day a week schedule this year. It has a nice balance of learning to use an encylopedia to research information, science experiments, learning definitions, etc.... and even includes reading through two science biographies. We have a LOT of fun Bible studies to do this year. During the first few weeks, we will use Developing a Quiet Time by Not Consumed. 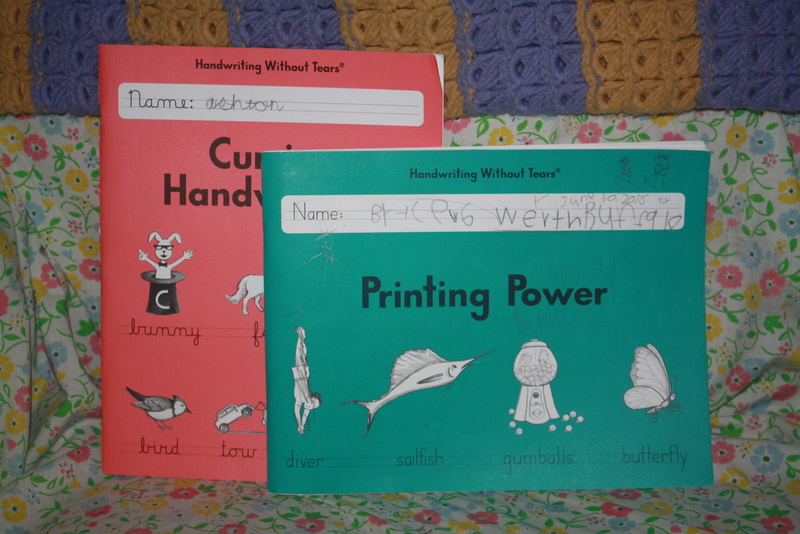 ​We will also continue using our Draw to Learn books. What we're looking forward to: learning the importance of taking time with Jesus every day. ​ This will be a great habit and discipline for all of us. New this year- we'll be adding in a hymn study, a nice way to ready our hearts for each day. What we're looking forward to: singing! The boys LOVE to sing Jesus songs. however I will probably supplement with some "made by me" projects/worksheets. We will continue using Sequential Spelling. This curriculum has been a perfect fit for us. What we like: it's easy. I believe in the overall layout of this program. It's simple and progressive. We will do spelling 4 days a week, and each day the boys will each spell 25 words. We're all looking forward to studying the states this year. 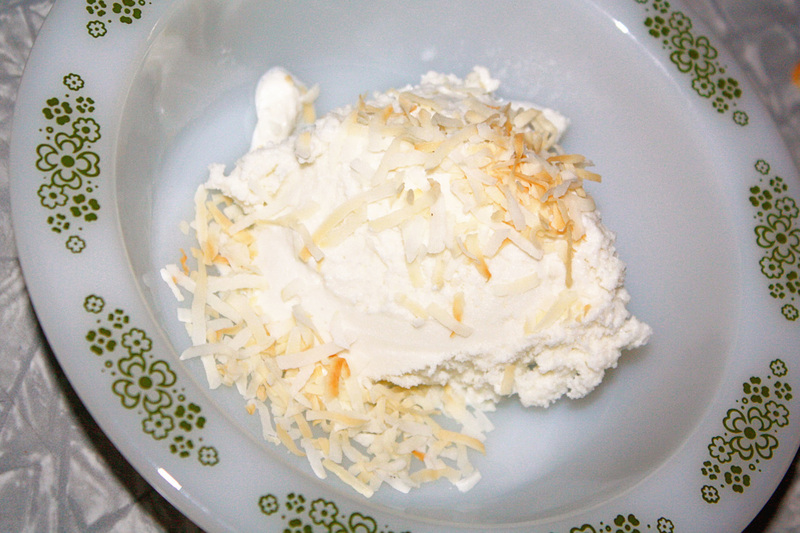 ​ and finding fun recipes that are unique to each state. This will be our first year using Charlotte Mason for History. We'll be studying Early Modern and Epistles. We'll also be doing Charlotte's version of a timeline, My Book of Centuries. In the past we've used Mystery of History, which my oldest loved, however, as we were getting ready to move onto book 3, I learned it's written more for the upper middle school level. I'm sure it's possible to cater it to younger grades, however, I wasn't interested in having to do that. I also didn't enjoy how we learned about a new person/event every day... it was exciting, but it was also a lot to try to take in and remember. Overall, I felt MOH itself was just a bit overwhelming in the way the information was presented, as well as how the book is laid out. I am looking forward to trying something new this year. We'll be using these books with Charlotte's History. We'll continue using My Father's World Language Lessons for Today for grammar. We started using this the middle of last year, and love the simple, yet thorough lessons. I also enjoy the variety of lessons. We prefer to learn in a more creative way . I can't wait to get outside and enjoy exploring creation with Charlotte Mason's Journaling: A Year in Nature. 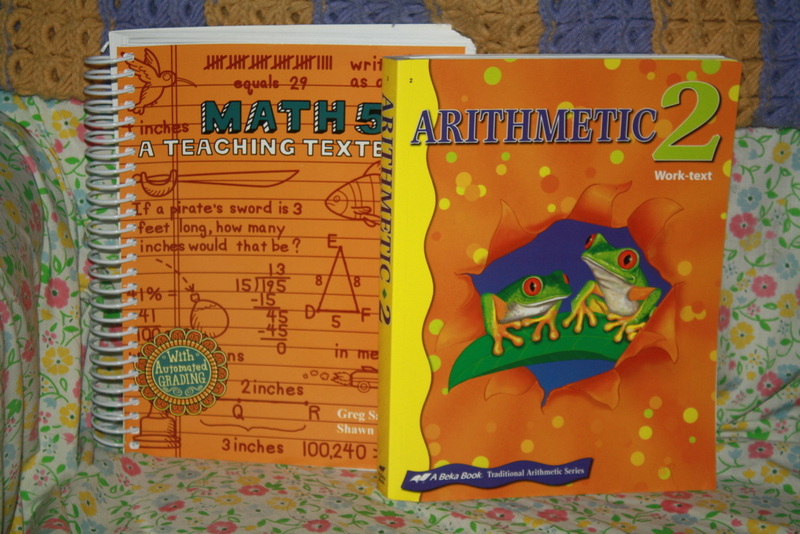 We'll continue using Teaching Textbooks for math. When I first started homeschooling, we tried Singapore Math. It gave Ashton a nice foundation to build upon. Bryce used A Beka for the first half of last year, and is half way through his 3rd grade TT. We'll finish the 3rd grade TT and then start 4th grade. however, it typically runs a year behind. What we love about Teaching Textbooks: It makes math FUN!! Yes, math can be fun! I am a HUGE fan of the way the lectures are presented. They are so gentle and encouraging... I find myself listening along most of the time. We are huge fans of TT! The lessons definitely stick, and I am happy with the progress my boys are making. 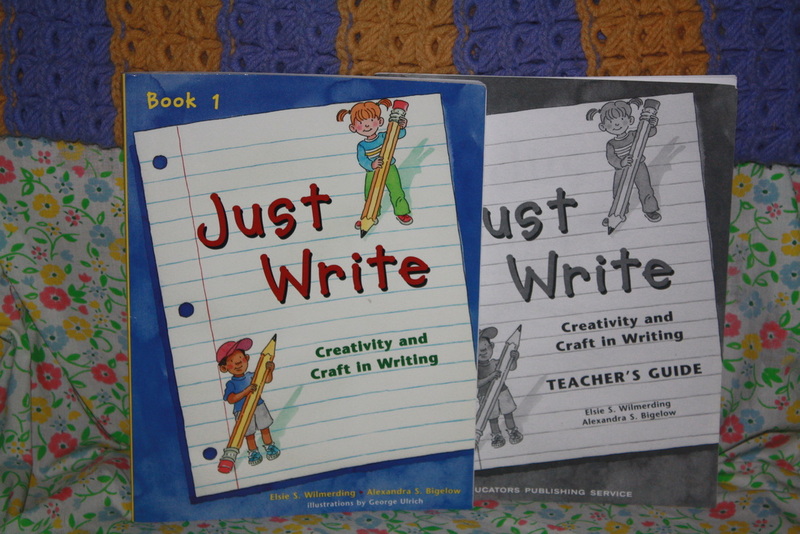 This year Ashton will start using Writer's in Residence for writing. In the past I've used Writing Tales which was a lot of fun. I would recommend it to anyone looking for a nice writing/grammar program. What I like about Writer's in Residence: it's so neat! I love how they incorporate Christian authors. They also do a really good job presenting a lot of information in a fun way. The student book is jam packed with 600 pages! ​as 600 pages is a lot to navigate through. He'll also start using this awesomely cute reading journal by Not Consumed. ​you should go there now!! Lots of good stuff. ​an expensive purchase, but well worth it. During the first 12 weeks we'll be focusing on: cleanliness and courage. Bambi, Little Britches, Treasure Island, Hans Brinker, and Stuart Little. Each of the boys will also be doing a Mom/Dad and me journal. ​and they will respond. We'll do this daily. Night Owl says, "People need to read this stuff!" So, here I am, ready to share our first two weeks of school with you! The past two weeks have been a lot of fun! 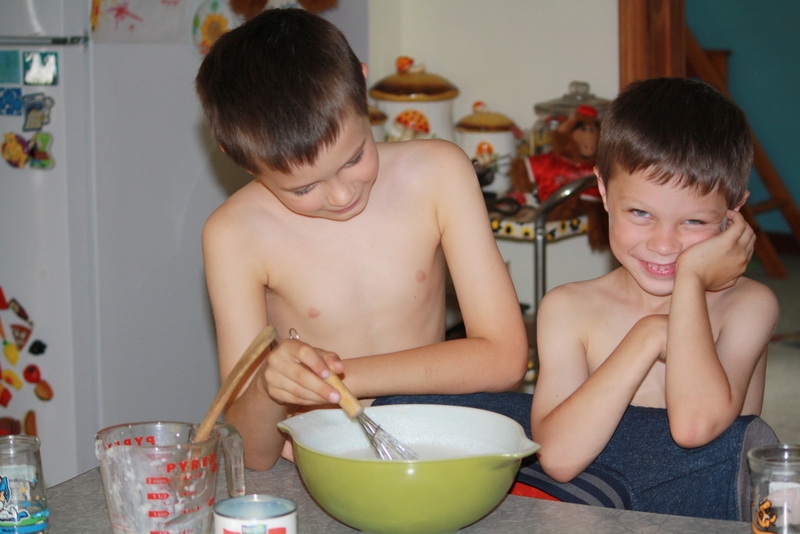 ​beneficial in allowing the boys to appreciate their free time even more. 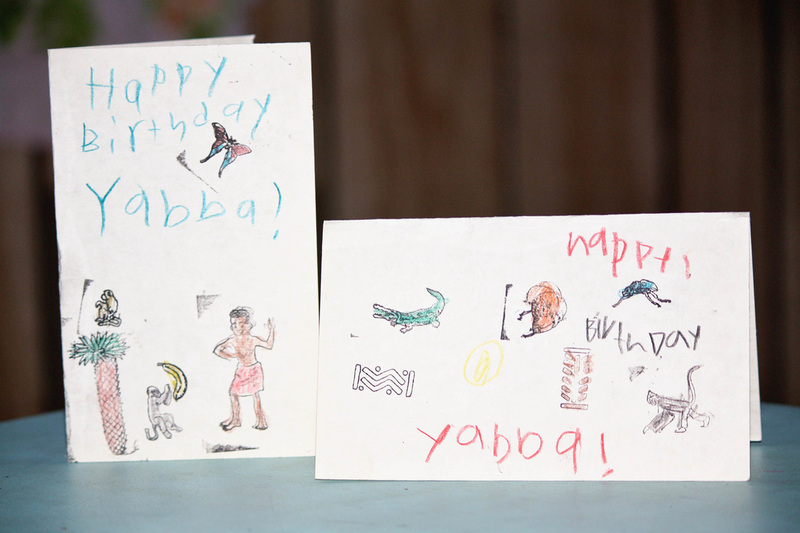 ​and also made birthday cards for our sponsor boy. 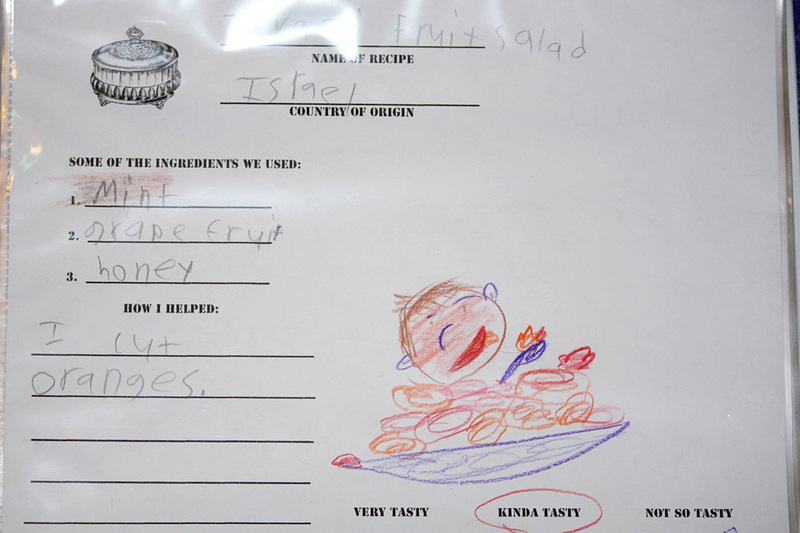 and made Israeili Fruit Salad which was just "kinda tasty." I continue to absolutely LOVE Writing Tales. On the left is Mr. Sunshine's rough draft. 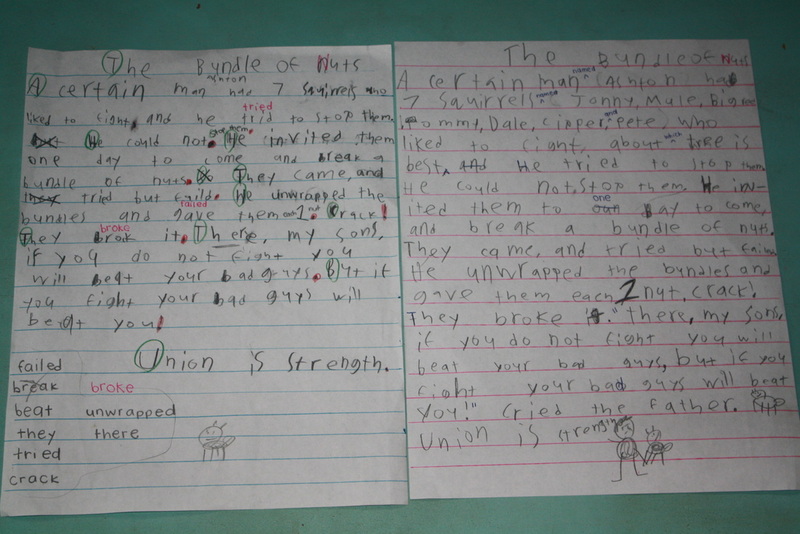 On the right is his expanded rough draft. He did so well adding in extra detail, using direct quotes, and really telling a full story. 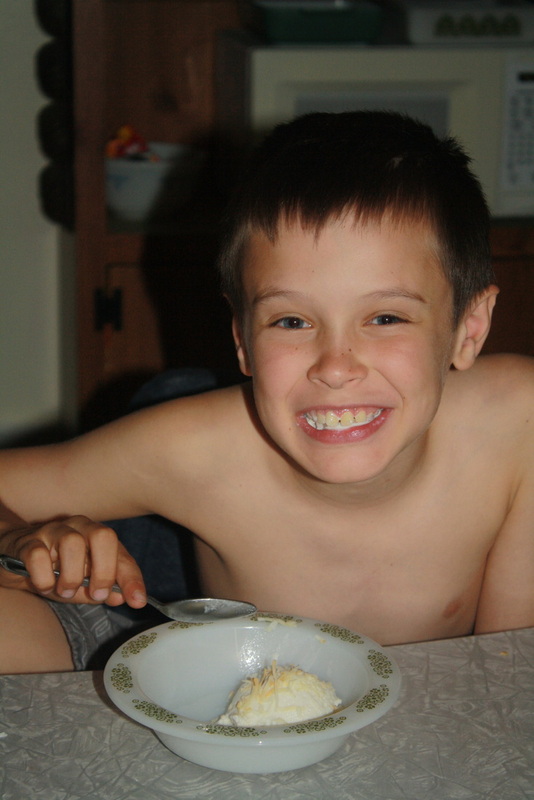 I'm so excited to see how the rest of his stories come together as our school year marches on. Busy working on their Bible pages on a rainy Thursday morning. We've been trying to make use of our porch a little more. It's in need of a desperate remodel, but is completely function for school on days like today. It was nice to hear the rain falling. We've studied 6 people from history so far. Above are Night Owl's notebooking pages on Paul. 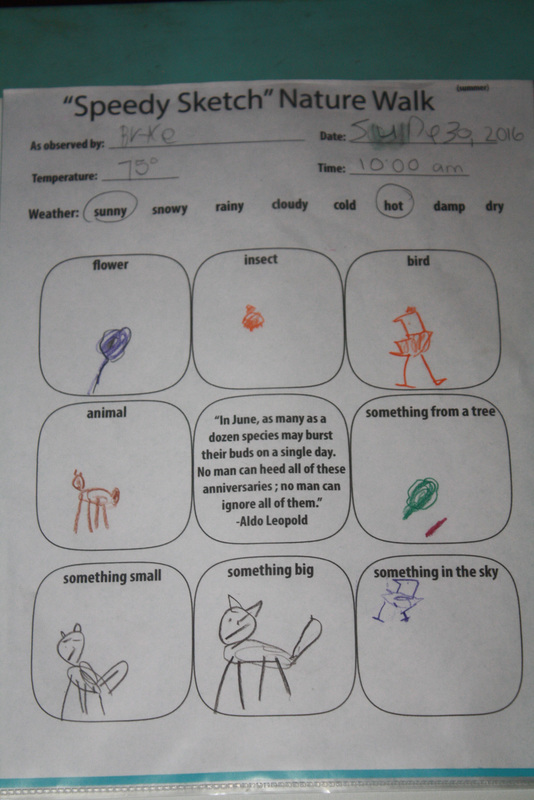 This is one of Mr. Sunshine's science notebook pages. and then randomly picked one slip out at a time. The purpose of this experiment was to show that creation didn't happen "by chance,"
but instead, by God's grand design. It was neat. We all enjoyed doing this. I am always finding fun science kits at our favorite thrift. 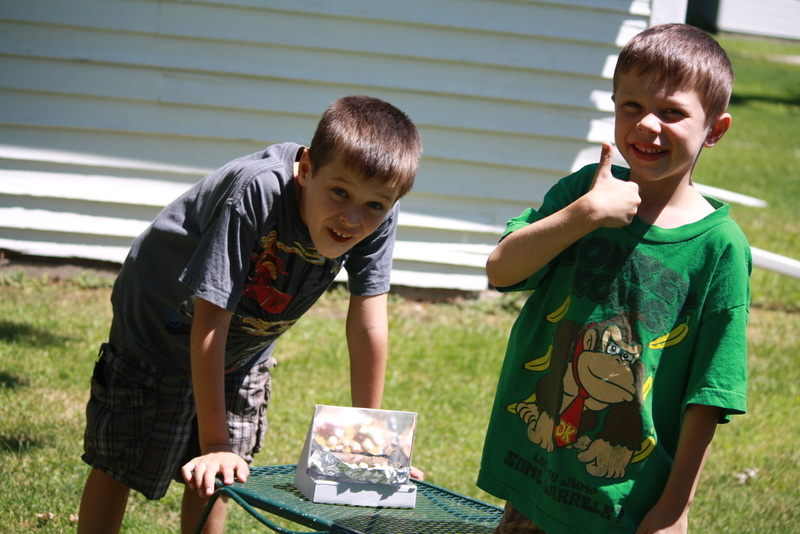 ​This week we decided to bust out the solar oven! The kit came with a really wonderful informative book on solar energy. because they've been using trees to cook. to these African countries ​to help conserve trees. Pretty neat! however, I failed at USING it correctly. The food was supposed to be underneath the little shelf it's sitting on. Oops! We'll definitely have to try it again in the near future! 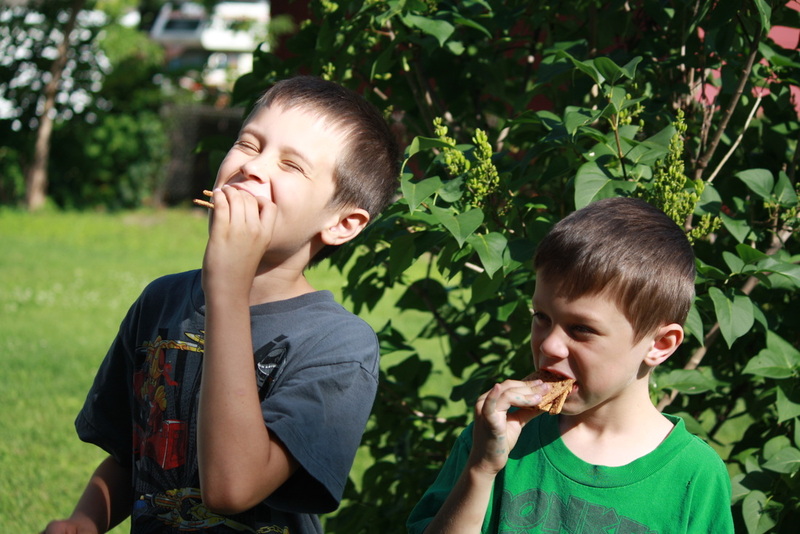 the s'mores were still a hit! 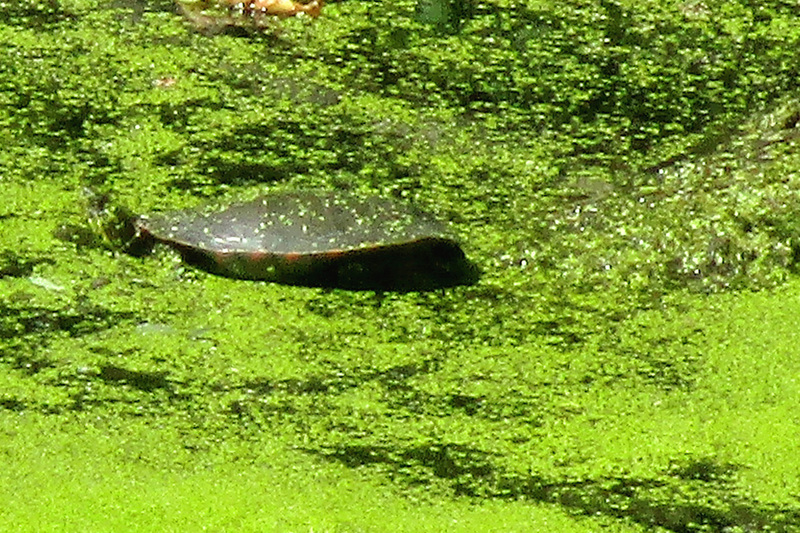 We took a mini field trip to our local nature center too. 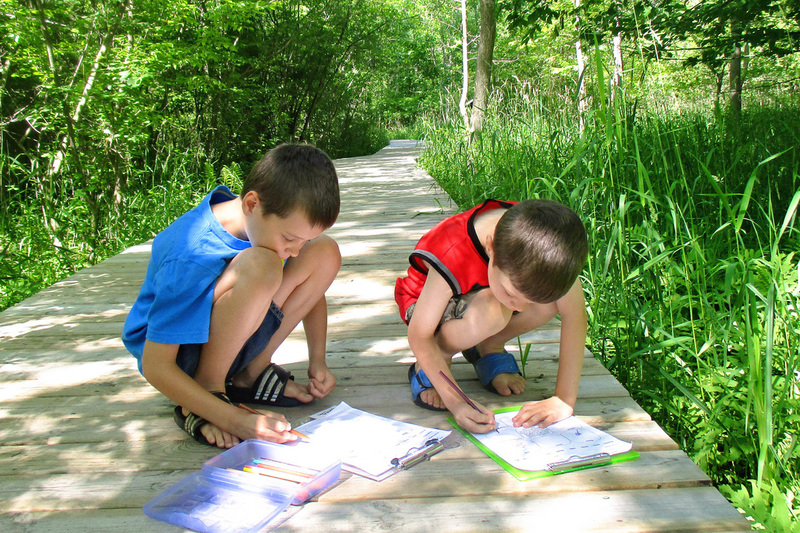 Below, the boys are busy working on their nature notebook pages. her beautiful spotted babies walked by. And this last picture just makes me laugh. I am super observant (or at least I think I am!) in normal life. 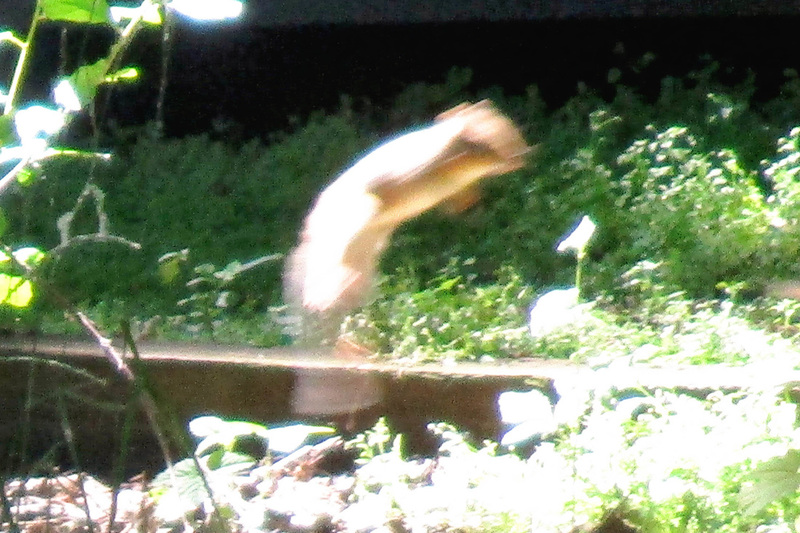 Anyway, Mr. Sunshine snapped this photo of a squirrel. 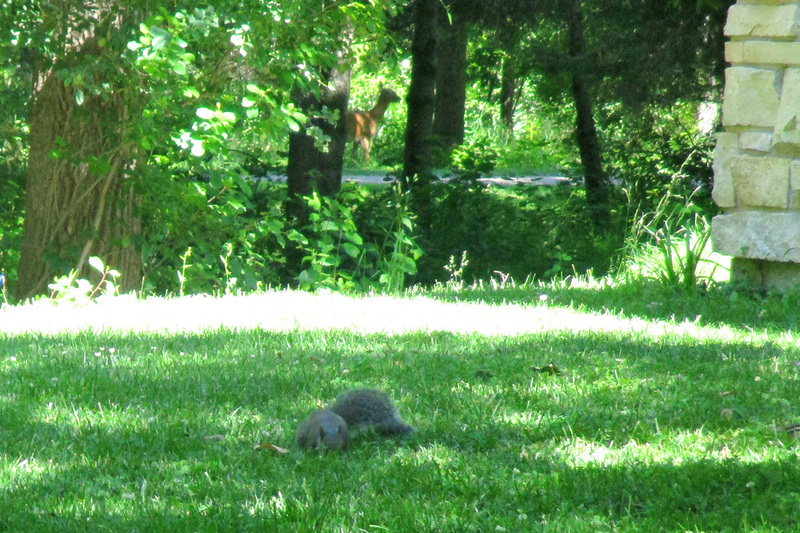 When we got home, I looked through his camera and couldn't believe we missed the deer! Ha... total photo bomb. 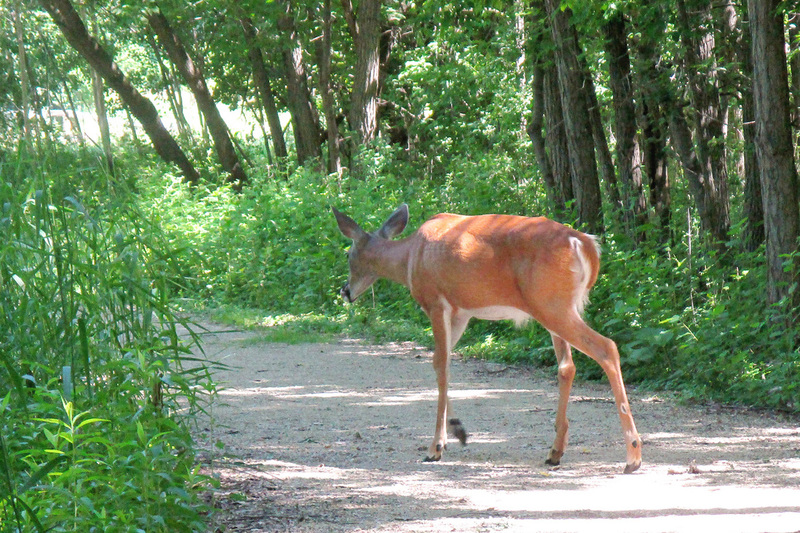 Nicely done, deer! Thanks for journeying along with us! We hope you're enjoying your summer. What fun adventures have you been up to? Our 2016-2017 is officially underway! Mr. Sunshine is a 4th grader and Night Owl is a 2nd grader. We are already on our second week, and I couldn't be happier. So far, year round school is proving to be quite complimentary to our family. I always enjoy reading about other people's curriculum choices. 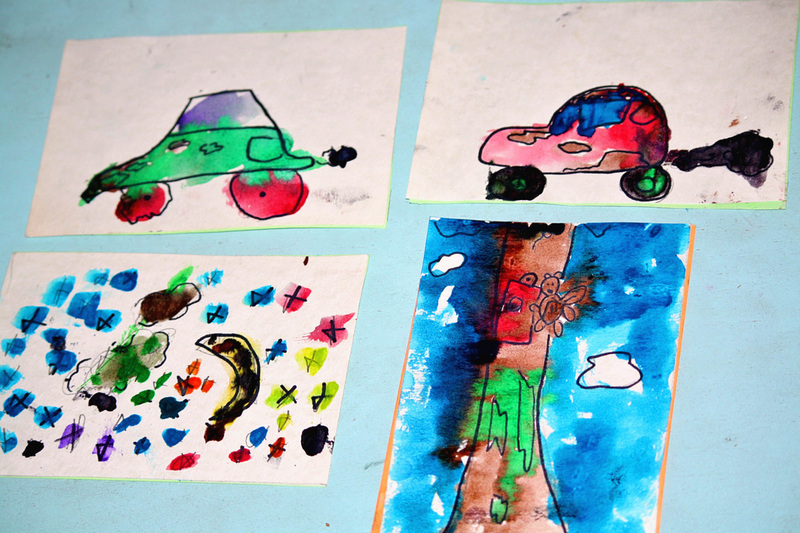 Today I'd like to share our home school space + curriculum choices with you. 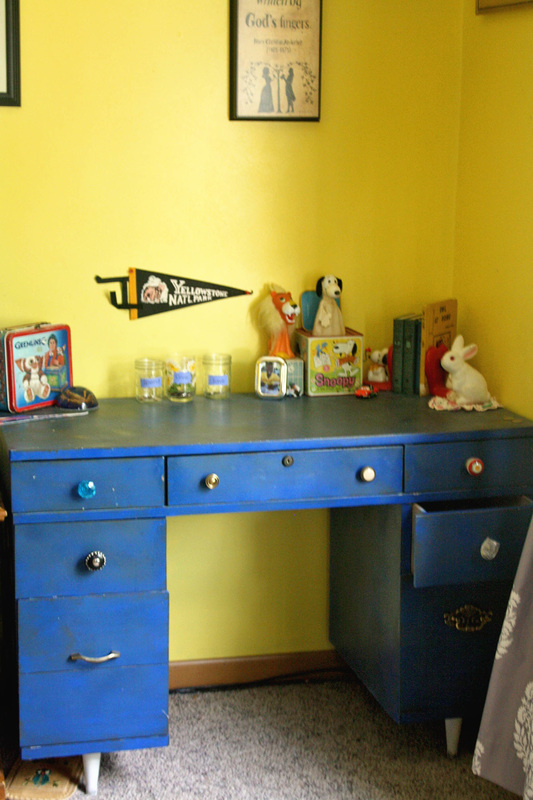 Mr. Sunshine's desk is in our dining room. 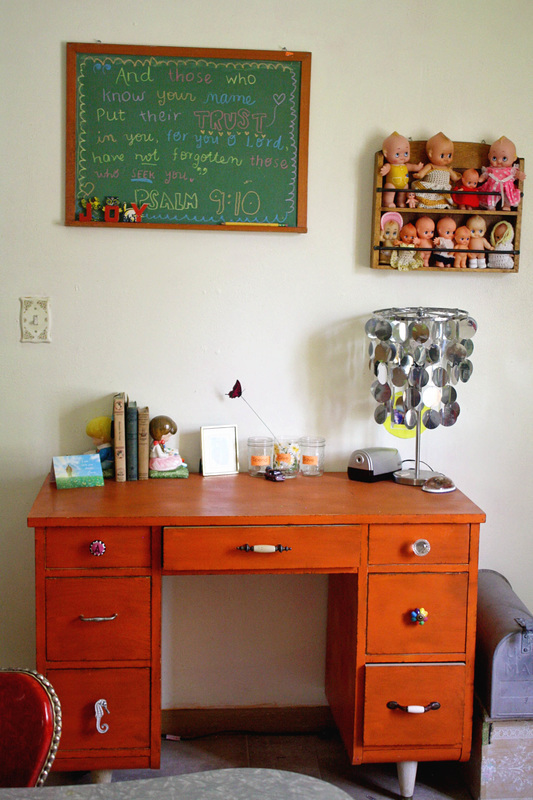 Night Owl's desk is in our living room. Yep, we've become a book crazy house! 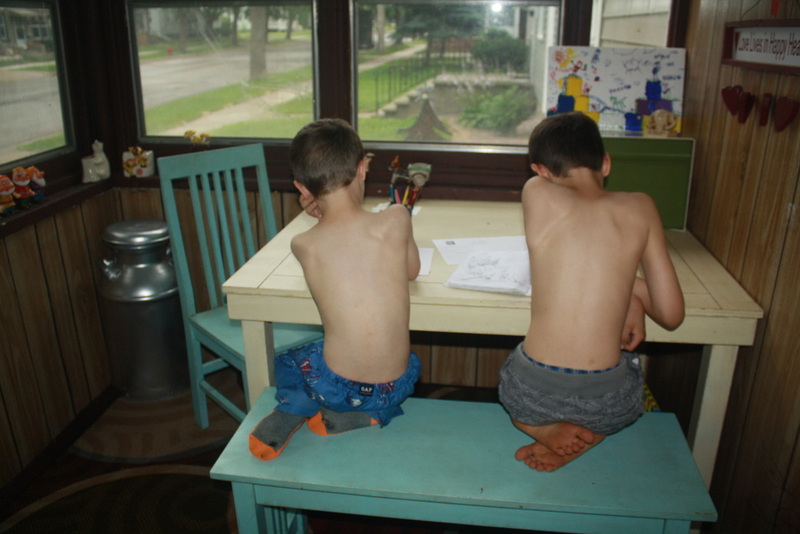 We do the majority of our homeschooling in our living room. It's comfy and has great natural light. The black storage box holds all of our curriculum books. and also holds our Bibles. The big white book shelf holds our notebook binders, and a mix of library / personal books. 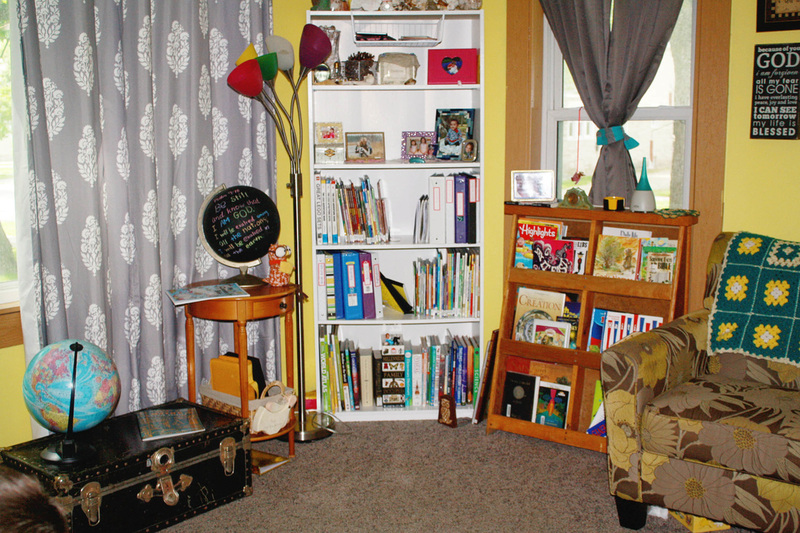 The bookshelf to the left of the chair holds books directly related to our weekly lessons. 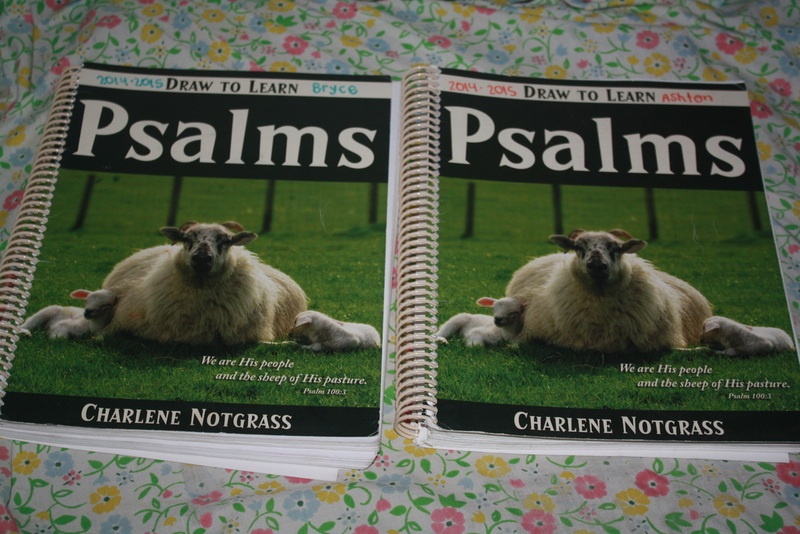 This is new to our homeschooling space this year. 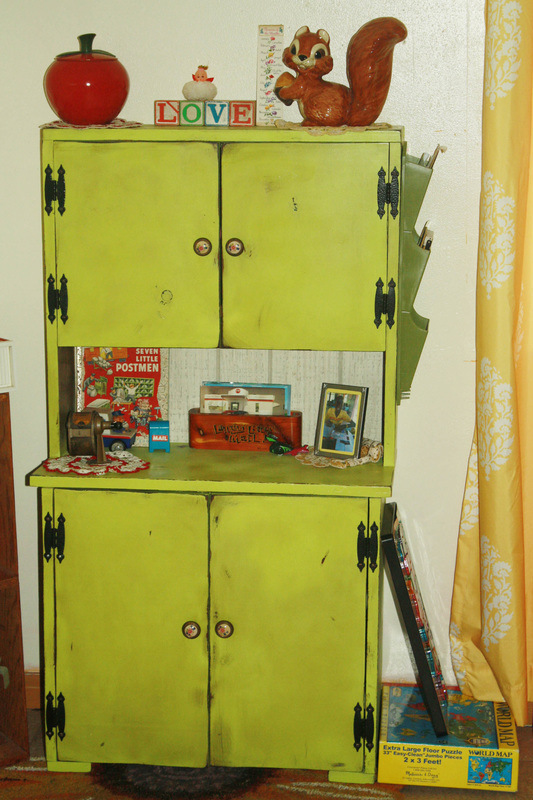 It was a play kitchen, which has since been transformed into an art / letter writing cabinet. It's in our dining room. 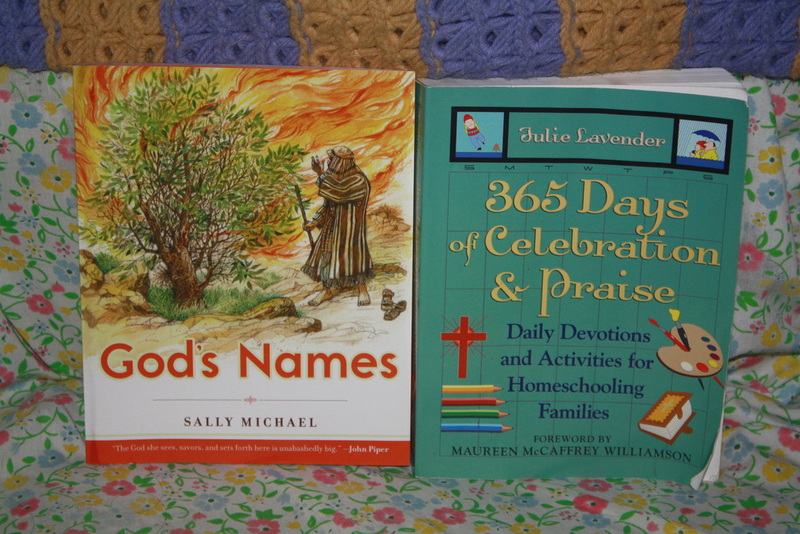 free pages from Peregrina (not pictured), and they each have their own "thankful" notebook. They also copy our weekly Scripture into their Bible Notebooks. We do math 5 days a week. Mr. Sunshine continues to have great success with Teaching Textbooks. and will move onto Teaching Textbooks later this year. but definitely prefer "Handwriting Without Tears." ​which makes them more enjoyable. 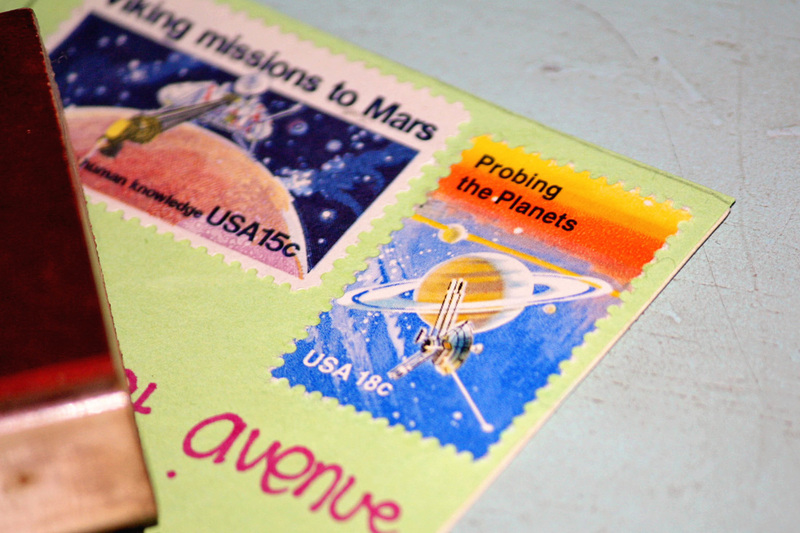 We do handwriting 5 days a week, with Monday being a special letter writing day. I am probably most excited about Writing Tales by Amy Hastings Olsen. which went completely against our preferred learning style. Memorization, clapping, and singing were causing Mr. Sunshine to fall over in boredom. he really wasn't retaining as much as he could have. I am so thankful I discovered Writing Tales! which is exactly how we believe learning should be done. The lessons are perfect in length, and thorough in content. and I feel this is best achieved through experiences and creativity. ​​We do language arts 5 days a week. Night Owl is using Just Write, which seems to be an okay fit for this year. 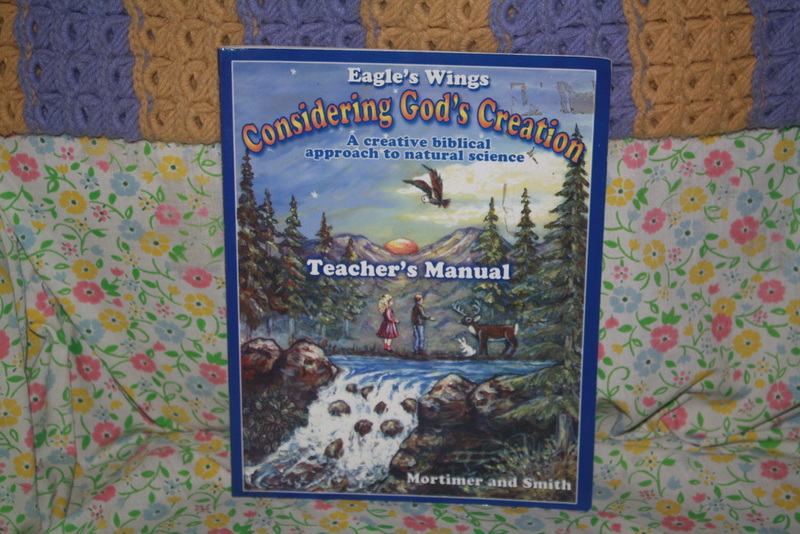 We are using Considering God's Creation by Mortimer and Smith for science this year. a completely clever and fun lay out. 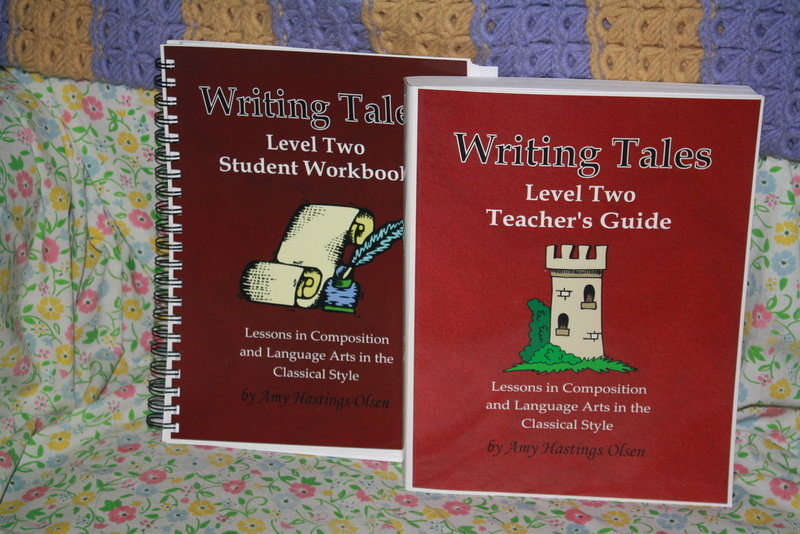 The lessons are well written, and there are a lot of experiments and notebooking pages. 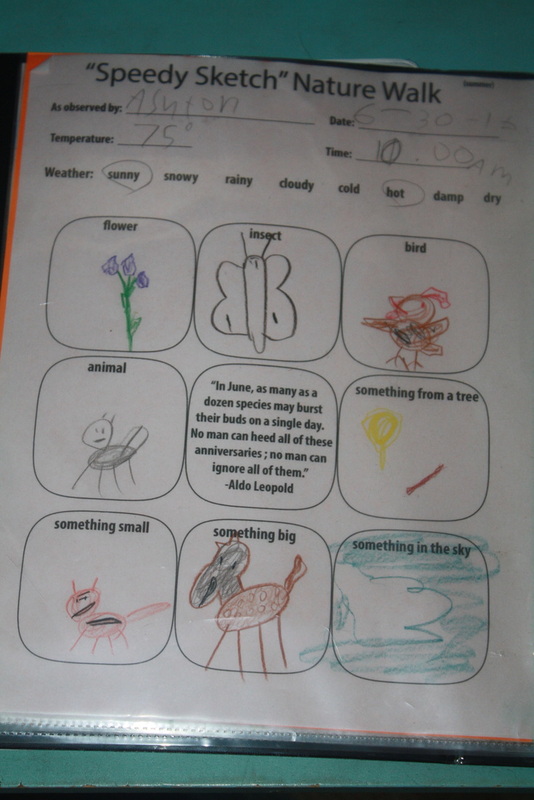 I wish there was a student book with colorful pictures, however, we have been able to supplement for this with library books. We continue to enjoy Sequential Spelling. Mr. Sunshine will move onto book 2 soon. 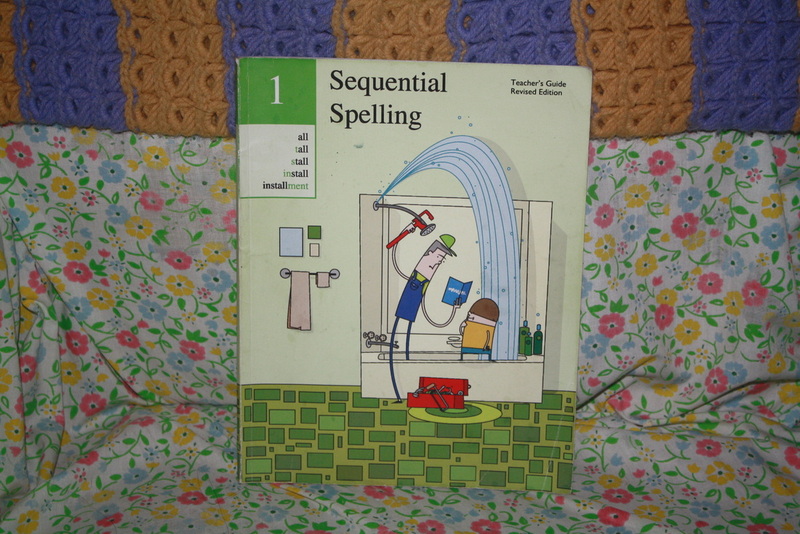 This book has definitely given him a strong foundation for spelling. Night Owl is using a list of 2nd grade words I found online. ​​We do spelling 4 days a week. 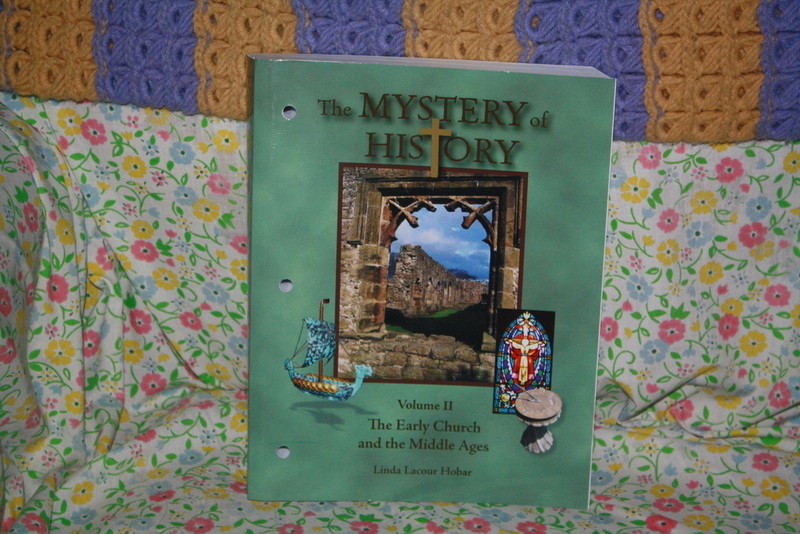 We are using Mystery of History Vol. 2 for history. Mr. Sunshine really enjoyed Vol. 1 last year, so it was right to stick with it. 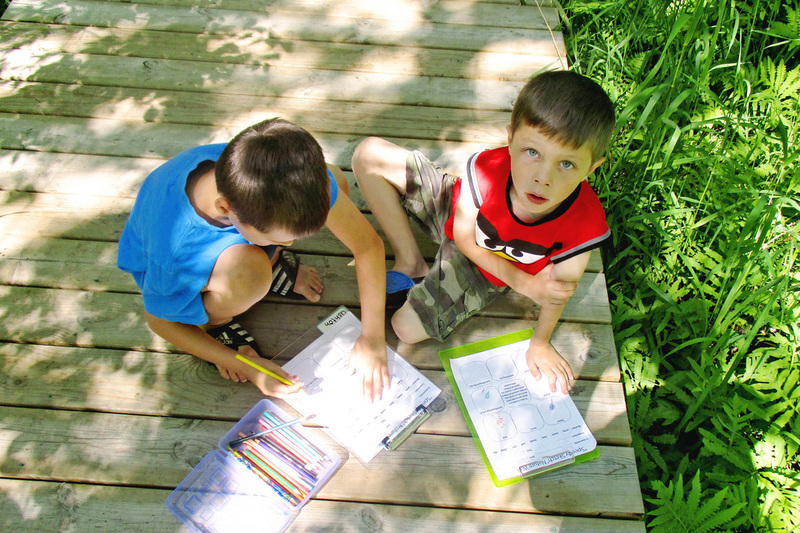 We are still doing coloring pages and activities. I added notebooking pages in this year, too. ​We do history 3 days a week. The boys were very excited to add world geography to our curriculum this year. 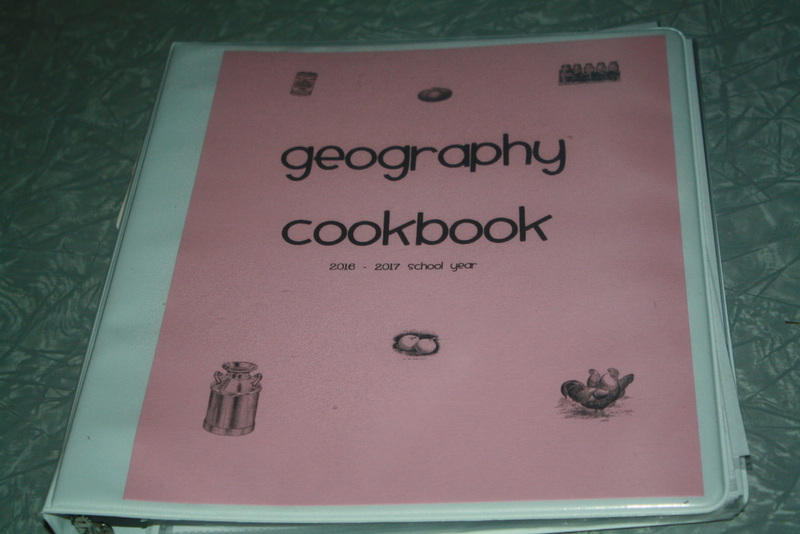 I decided to create my own geography program. 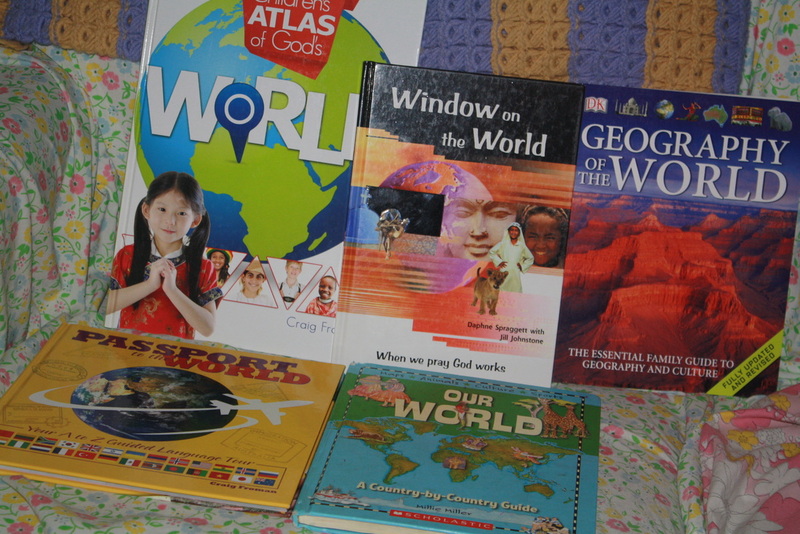 Our geography is based mainly off of the amazing book Window on the World. DK Geography of the World, and Our World by Millie Miller. (Millie Miller is a wonderful author- my boys have loved Our World to pieces, and enjoy her USA book just as much. I highly recommend her books as well. We do geography 3 times a week, with a specific country focus each week. 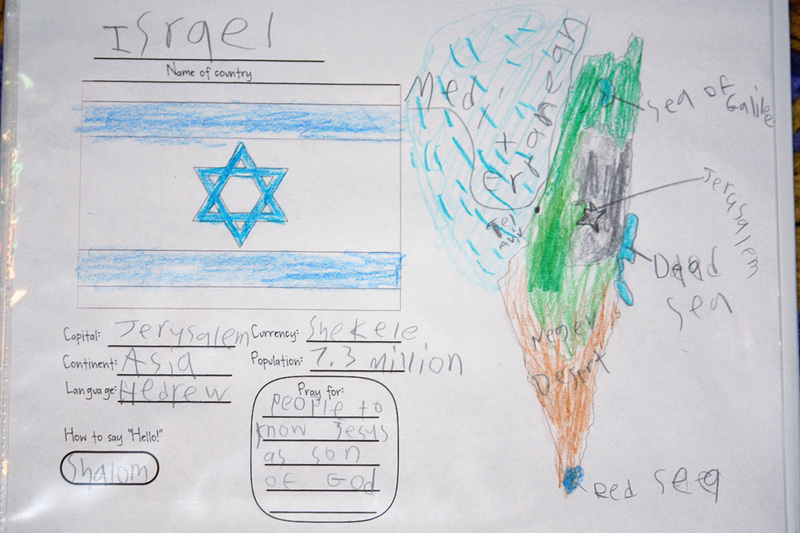 each boy picks a specific prayer focus for that country. and commits to praying for that for the entire week. We also do a mapping activity on this day. On Tuesday, we do a scavenger hunt with books to find answers to common questions, like, "What is the country's currency?" "What language do they speak?" 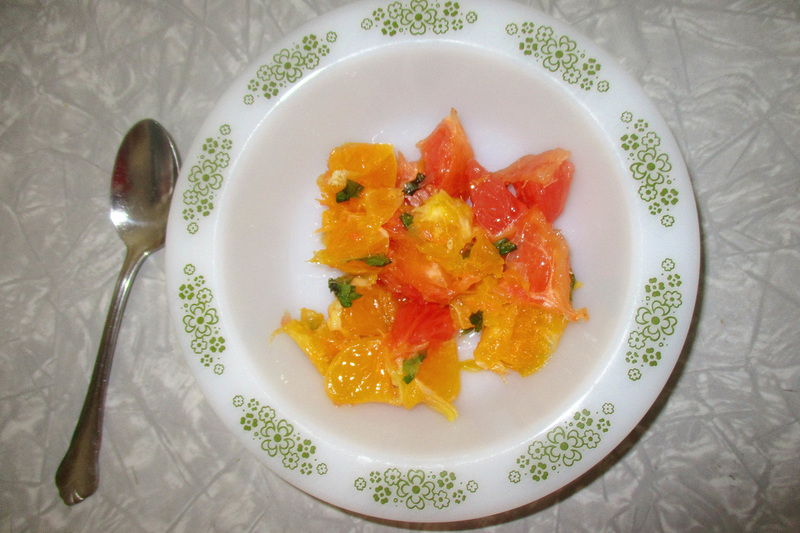 "How do you say 'Hello,'"
On Wednesdays, we make food relevant to the country we studied. Thanks for stopping by and taking time to peek into our little school. 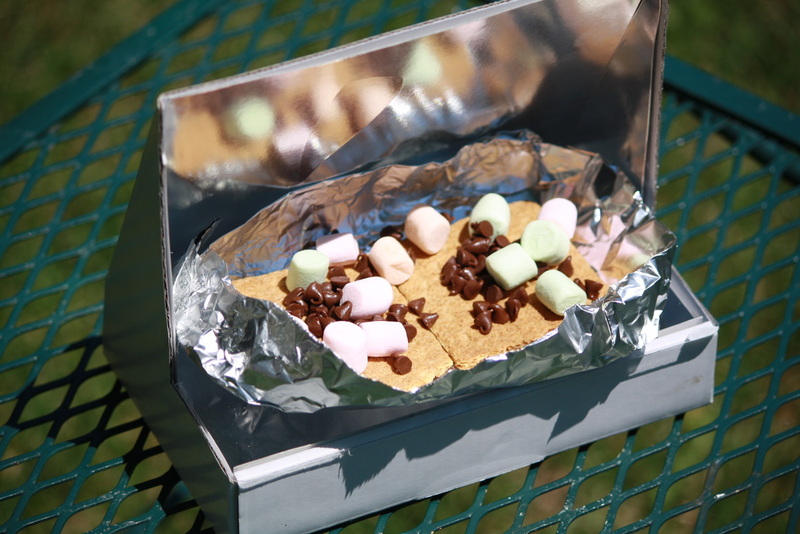 tried baking s'mores in a solar oven, and even made coconut Haitian ice cream!